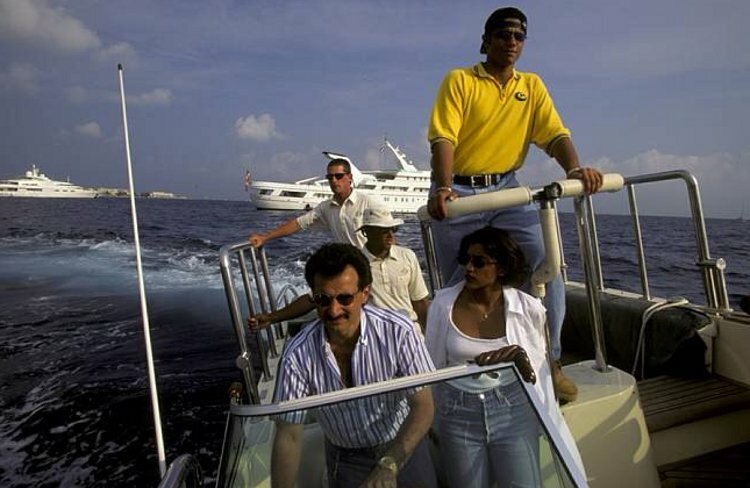 News Saudi Prince Al-Waleed bin Talal (below) is interested in Crete as a touristic development bears mixed blessings. The prince, who’s transformed every place he’s invested in quite literally, says he wants to develop the island of Dia, just off Heraklion. But Crete is a special case study in protected antiquity, and Dia may hold secretes the Greeks don”t want destroyed by overzealous development. 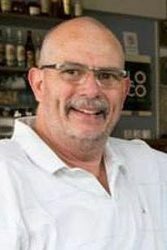 According to this Greek Reporter story, Talal expressed an interest to Greek Minister of Tourism Olga Kefalogianni this past week while traveling to Crete. Butandy plan at exploiting the vast potential for tourism on Crete will inevitably cross paths with conservationists, archaeologists, and Greek and Cretan organizations bent on preserving that island’s still undiscovered treasures. 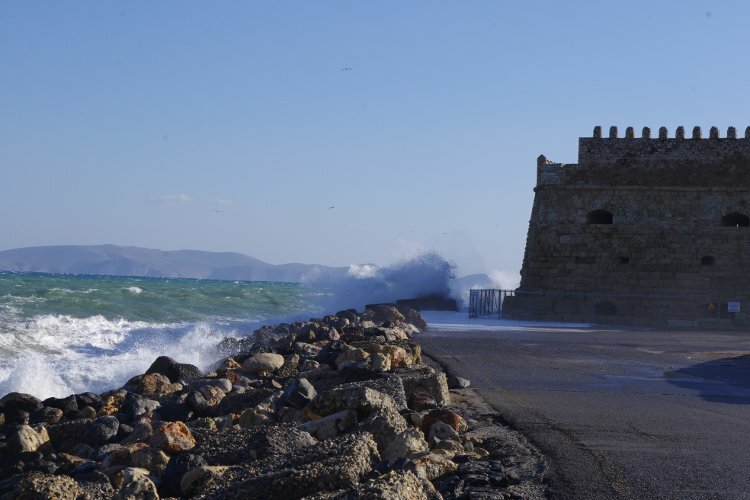 Outside the environmental impacts on that pristine island paradise, the Minoan and other civilizations of antiquity lay just beneath the surface of the Cretan land and in the Cretan Sea. Dia, whish is about 5 kilometers wide and 3 wide, has four wonderful bays where yacht basins could be built, and where plush resorts could thrive. But beneath the waves in between Dia and Heraklion adventurer Jacques Cousteau discovered a Minoan port during his search for the mythic city of Atlantis. The Minoan harbor, near the bay of Agios Georgios, may hold archaeological discoveries of immeasurable value. Cousteau reasoned, and there is some evidence to support his theories, that the sunken port was part of a much larger complex that could have given rise to the Atlantis myth. 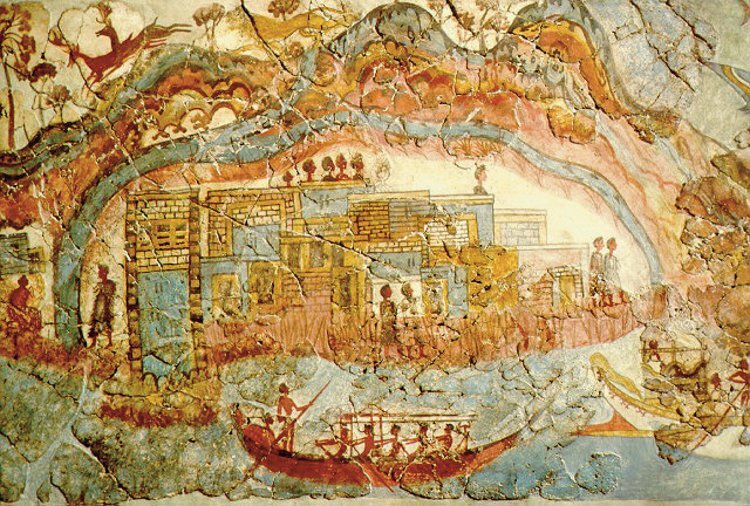 The eruption of Thera (now Santorini) around 1450 BC probably caused the Dia settlement to sink, and for citizens on the island to seek refuge on the mainland of Crete. According to legend, Dia (which looks like a lizard) was turned to rock by a thunderbolt from mighty Zeus. More intrinsically important for conservationists though, Dia is also a key breeding ground for sea birds associated with the coastal cliffs here. It’s one of the most important nesting areas for Eleonora’s Falcon in the Southern Aegean too. Also, Monk Seals are also often seen by local fishermen around the shores, not to mention a multitude of indigenous goats and other wildlife. 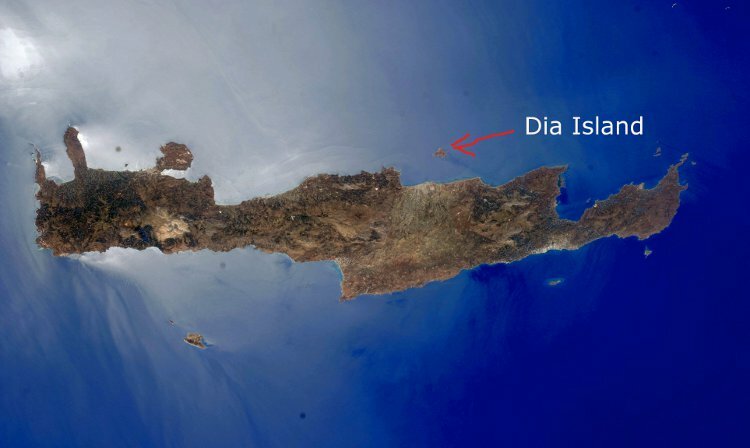 If the prince does commit to develop Dia, and agrees to help excavate the undersea and onshore archaeological sites, then Dia Island could become Atlantis once again. Anyone who’s been to Crete can visualize this. What a prospect.